Deputy Community Forest Chief Says Women Patrols Can Be “More Courageous” than Men. Mrs. San Vansen is 55 years old and has five children. 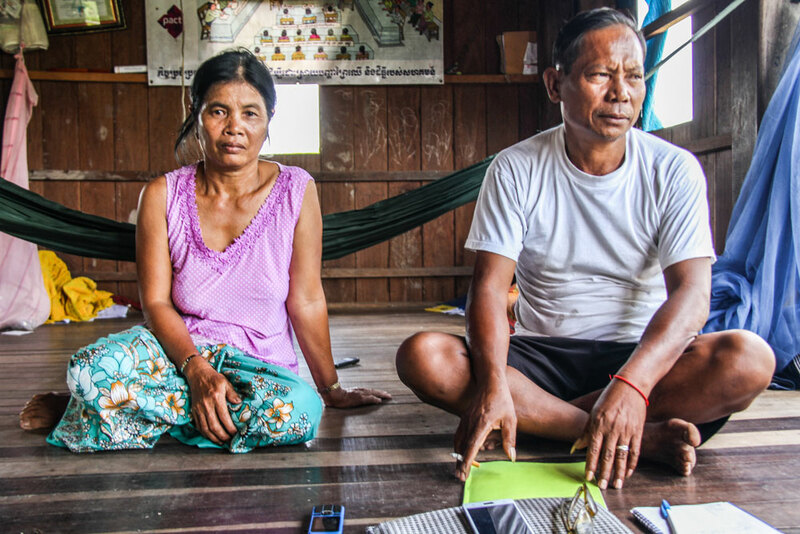 She is the deputy chief of Ent Chey Community Forest Management Committee (CFMC), Sambor District, Kratie Province. Vansen (pictured above, yellow shirt, center) helps lead 222 community forest members, almost half of whom are women, in the struggle to protect their forest. Vansen has been involved with community forest protection activities for 15 years, and through the USAID Supporting Forests and Biodiversity Project implemented by Winrock International, has received training on livelihood improvement, patrolling strategies and relevant forest laws. How do you see the role of women in the protection of community forests today? 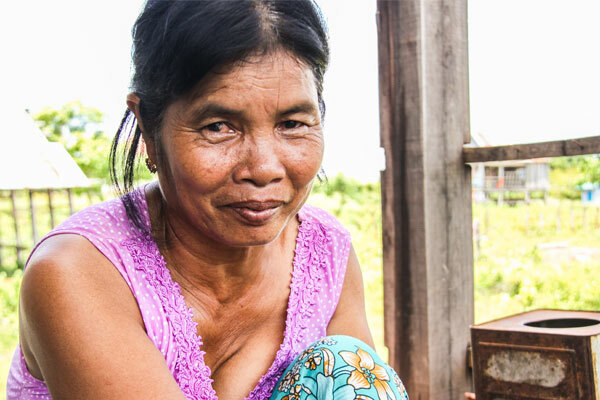 What inspires women to join activities to protect the forest? Does women’s participation increase effectiveness of the forest patrol activities? What pressures are affecting the Ent Chey Community Forest? What has USAID SFB provided to your community to respond to this situation? Hansen is the mother of five children. She is photographed here with her husband. The content of this interview is the sole responsibility of Winrock International and does not necessarily reflect the views of USAID or the United States Government.